Today is National Champagne day! I had no idea such a day existed but I began receiving some tweets about it and did a bit of research. 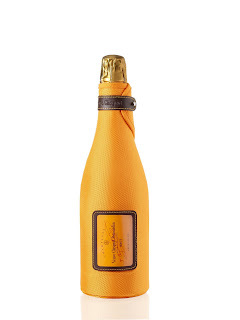 It is only the second official year of this holiday but I think a day to celebrate Champagne is brilliant! 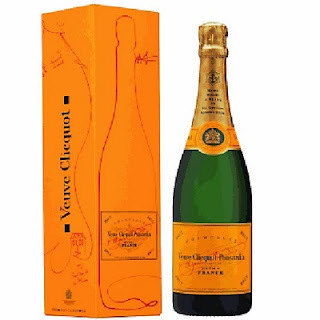 My favorite champagne is Vueve Clicquot. 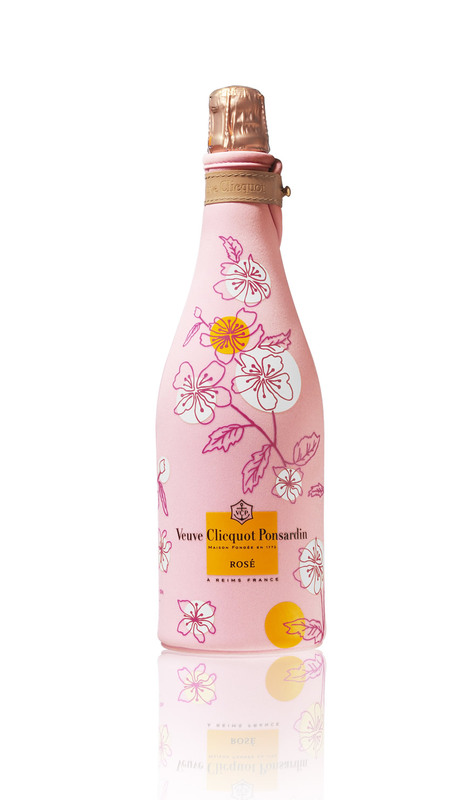 I love their bubbly, but I have been falling head over heels for their fun collectibles for the past few years. Here are a few of the ones I have been able to get my hands on. While in London I found these insanely adorable mini fridges! 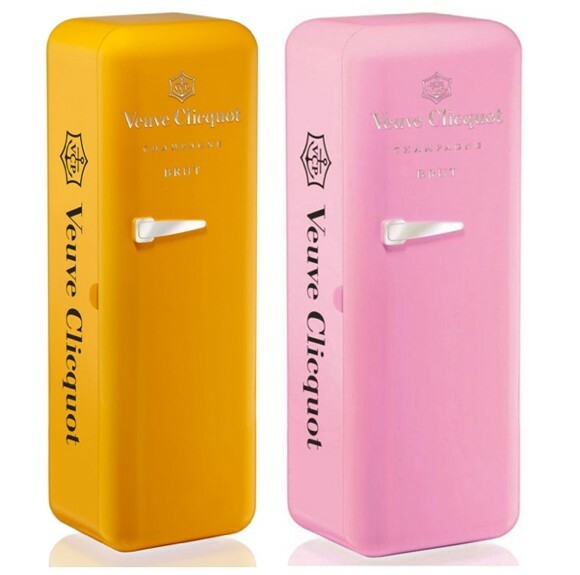 The combination of the vintage refrigerator design and my favorite beverage made these a must have. This trademark yellow bottle jacket was something that I had had my eye on for quite some time but I was having a very hard time finding. This summer while in Italy we encountered a wonderful couple who enjoyed a few bottles of Vueve daily and he always carried them in this. He gave me a couple of ideas as to where to look for one and on our way out of the country I happened to find one in the duty free shop. 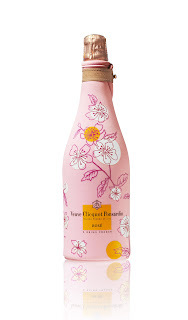 A few months ago while shopping at Costco, a great place to stock up on Vueve, they had the Rosé version with the special edition Sakura jacket. This jacket has the Sakura, Japanese cheery blossom trees, on it and was designed by Ateliers LZC of Paris. This caryall is my next Vueve conquest. 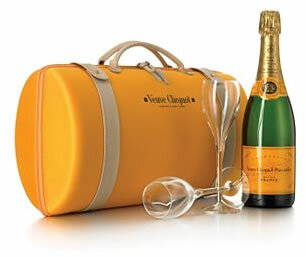 Its design reminds me of my Louis Vuitton Speedy bags. 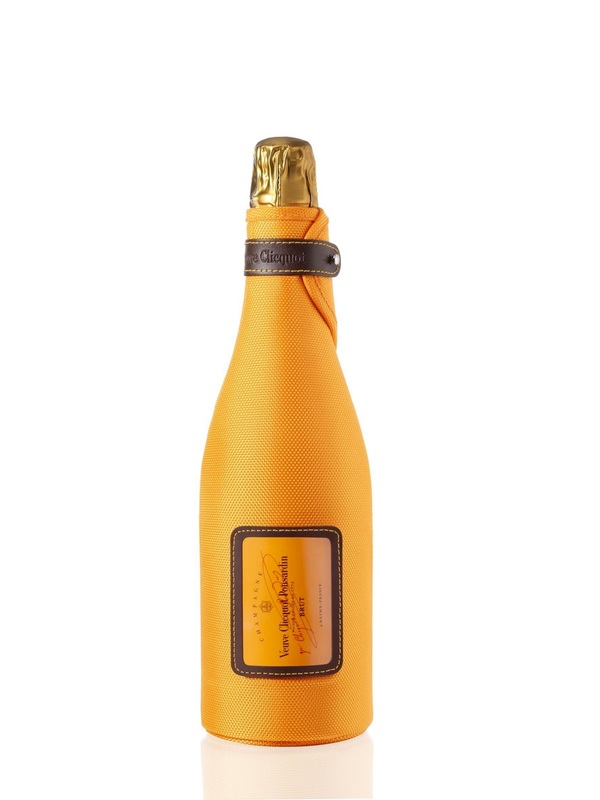 If only Louis and Vueve Cliquot would partner talk about a match made in heaven! I love me some V.C. !